This past Spring of 2017, my husband and I took our first trip to Europe together and it was a whirlwind of delicious food, cultural cities, and incredible experiences. Eight cities were visited and I’m starting with the last one we hit: Rome. Today, I’m sharing the 5 Best Rome Tours, Excursions, and Culinary Experiences we had while there! Since it was our first time in Rome, we wanted to make sure to see as much as possible, in the most productive way. The best way to achieve this was by booking specific tours of the places we didn’t want to miss and the food we had to eat. Because between walking food tours and cultural visit tours, we explored the best of Rome in the few days we were there. Below you’ll find the 5 Best Rome Tours, Excursions, and Culinary Experiences – from hands on cooking classes to tours lead by university professors. Andiamo! First up, the Colosseum and who better to guide us on this tour of Ancient Rome than Paul, a university professor that made us feel like we were part of Roman history as we walked with him. 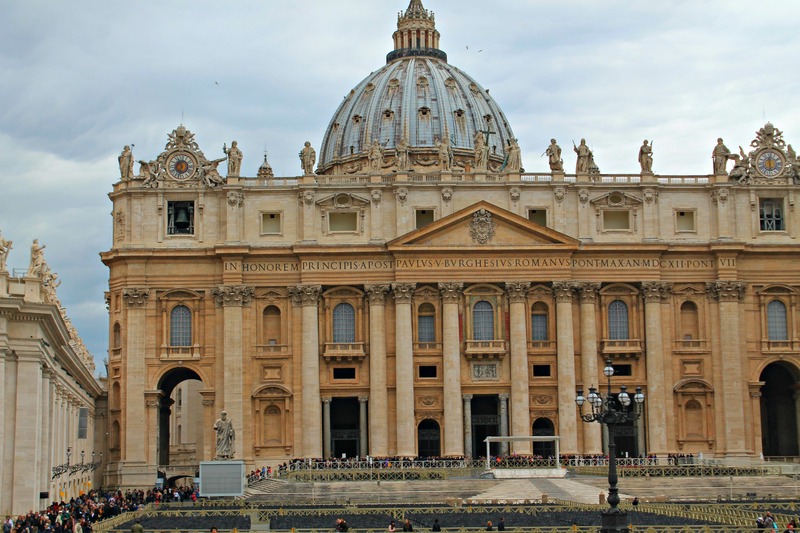 The company we partnered with for this tour was Eternal City Tours, a faith-based nonprofit organization that aims to fund Catholic education scholarships and teach history through the lens of the Catholic Church. So not only were we learning about the Colosseum and Ancient Rome, we were supporting education with each step we took. 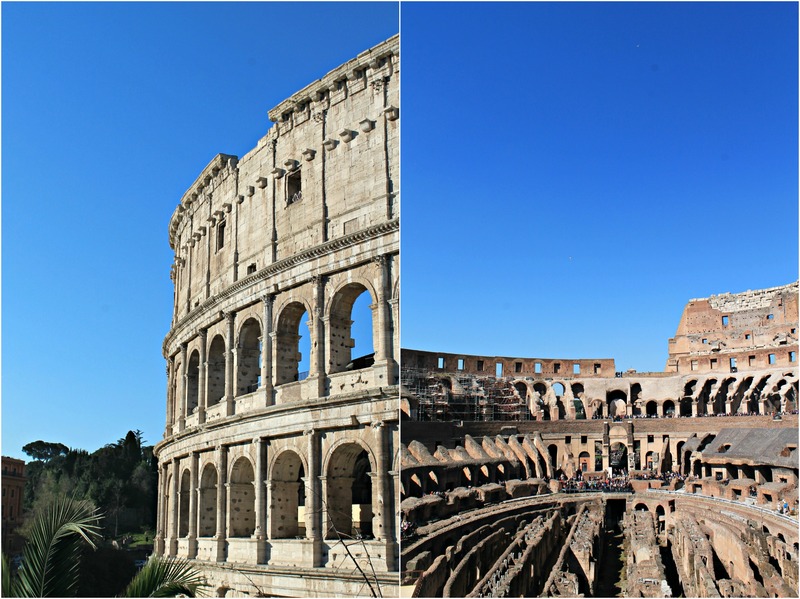 The tour began by exploring the mythological beginnings of Palatine Hill, the birthplace of Rome. Personally, I knew very little of the birth of Roman culture but after walking through the baths, temples, and ultimately experiencing what the Roman Empire was all about, the Roman Forum, I felt confident to say I learned so much on this tour. To be on site where Julius Caesar took steps on, was jaw dropping – because that’s the thing about history – time really does stand still if we preserve these sites and its stories. As we walked into the Colosseum, my breathe was quite literally taken away. The sheer magnitude of the site was enough to do so, but as Paul recounted the stories of the gladiators and their struggles for life, it seemed unreal that we were standing there. And that’s why I recommend this specific tour – because it’s not like any other tour with superficial facts you can read online. On the contrary, the information shared comes from not only historical site data but personal research the guide has done himself. A stellar experience! This is an express Vatican tour because it’s only 2.5 hours long, but it was just the right amount of time for us. 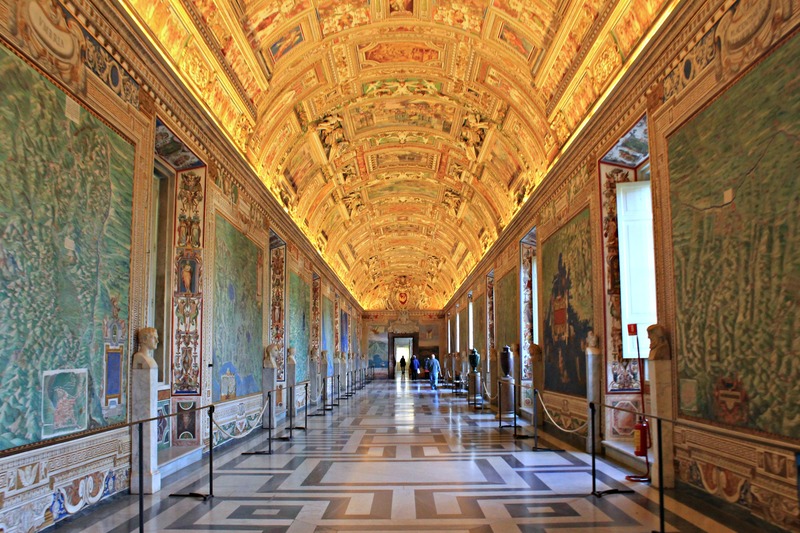 On the way to the Sistine Chapel, we spent about 45 minutes marveling at the galleries in the Vatican Museum. The Candelabra Gallery, Gallery of the Tapestries, and Gallery of Maps were some of our favorites, but it was extra special because we had the time to stop and ask about certain objects obtained from personal collections of previous Popes. From the galleries, we walked towards the Sistine Chapel and our guide told us all the information about it before we arrived, as we’re not allowed to speak while inside since it is a place of worship. It seemed like it was just us and maybe two other tour groups, so as we walked in, there stood Michelangelo’s masterpiece. It was perfect to be able to experience this with very little crowds – to take in his work and try to understand how one man, back in the 1500’s, was able to create such magnificent work is beyond me. Our last stop on the tour was St. Peter’s Basilica, where we saw the gorgeous masterpiece La Pietà by Michelangelo. Another place of worship, St. Peter’s was the perfect ending to this day. If you’re in Rome with limited time or have a full itinerary and want to fit in these spots, this Roman Guy tour is just the one. This tour took us around the area of Trastevere, on the west bank of the Tiber, where it’s name comes from: Latin trans Tiberim, meaning literally “beyond the Tiber”. We met close to Campo di Fiori, where our guide was ready to take us on an delicious adventure! It started off with a family owned cheese shop, where we walked behind the counter and tasted a variety of hard Italian cheeses along with a glass of organic prosecco. From there, a hidden gem and one the locals love: Filetti di Baccala, which translated to filet of salt cod, was one of our favorite stops. About 99% of this tiny shop’s sales are from the fried salt cod snacks they sell and let me tell you, they are worth the find!Nothing fancy, it’s a Roman staple and one you must experience. To sum it up, we not only had that, but tasted some authentic Roman pizza – funny thing is, our tour guide’s family was from Naples, so her take on pizza was quite intense. 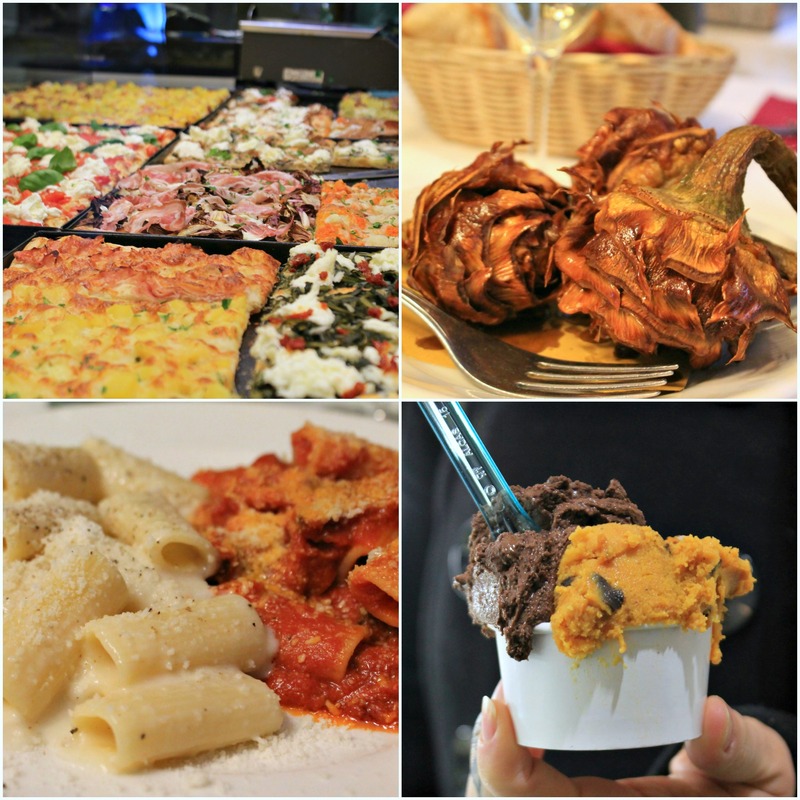 We enjoyed some incredibly thin pizza with amazing toppings – but just a slice each because soon we were heading to a sit down dinner where we enjoyed classic Roman pastas: Cacio e Pepe and Rigatoni alla Amatriciana, along with fried Roman artichokes. 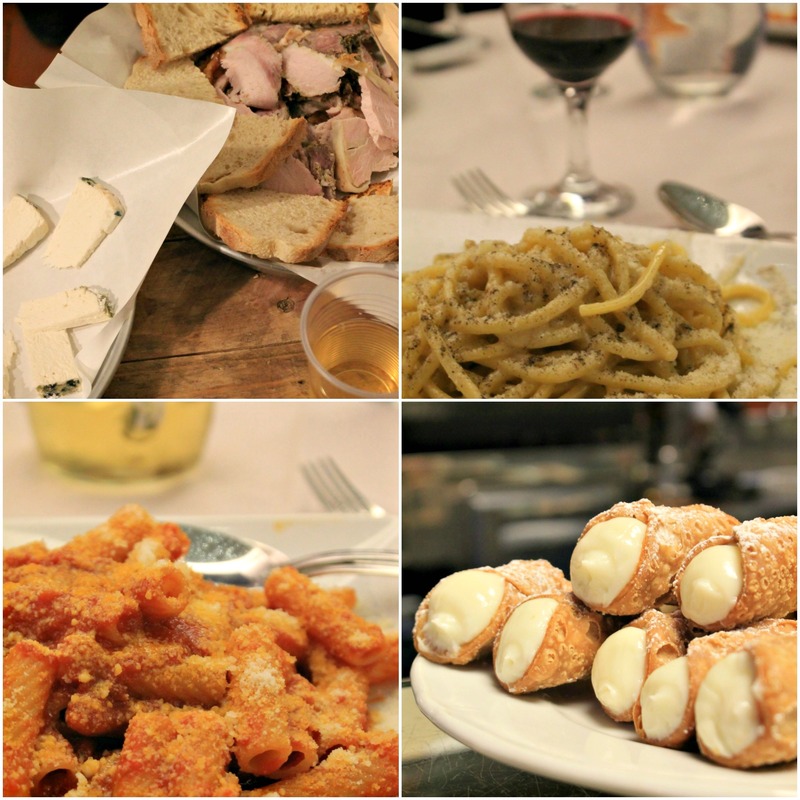 Just for this dinner, the food tour is 100% worth it! And what kind of Roman food tour would it be without a little gelato to end the night? It’s also good to note that most of the stops indulge in local Italian wines, which my husband enjoyed for us both as I tend to shy away from alcohol. Another great food tour company is Secret Food Tours – which are not only in Rome, but around the world. We actually took these tours in Berlin, Paris, and Belgium as well and it was great to see how the brand’s mission of showcasing the best of the local culinary scene could be seen across different countries. The fun part of these tours is that not only will you taste the usual, but there will be a “Secret Dish” as well that is revealed during the tour! This food tour stopped in a variety of places – everything from a little cafe in Piazza Navona, where we learned so much history about the fountain and piazza itself, while sipping on espresso drinks; then our guide Sylvia led us to a tasty pizzeria for more Roman pizza and how to recognize it; a family owned bakery that made the freshest cannoli; a small restaurant in the old Jewish quarter where we tried classic Roman pasta sauces; a delicacy shop where the owner himself poured us tiny glasses of wine and served us porchetta and cheese; and of course, per all other Rome food tours, we ended the tour with gelato capped with freshly whipped cream. The evening tour was a great way to experience the Roman monuments in a different light – the way they shine during the nighttime us just spectacular and such gorgeous views. 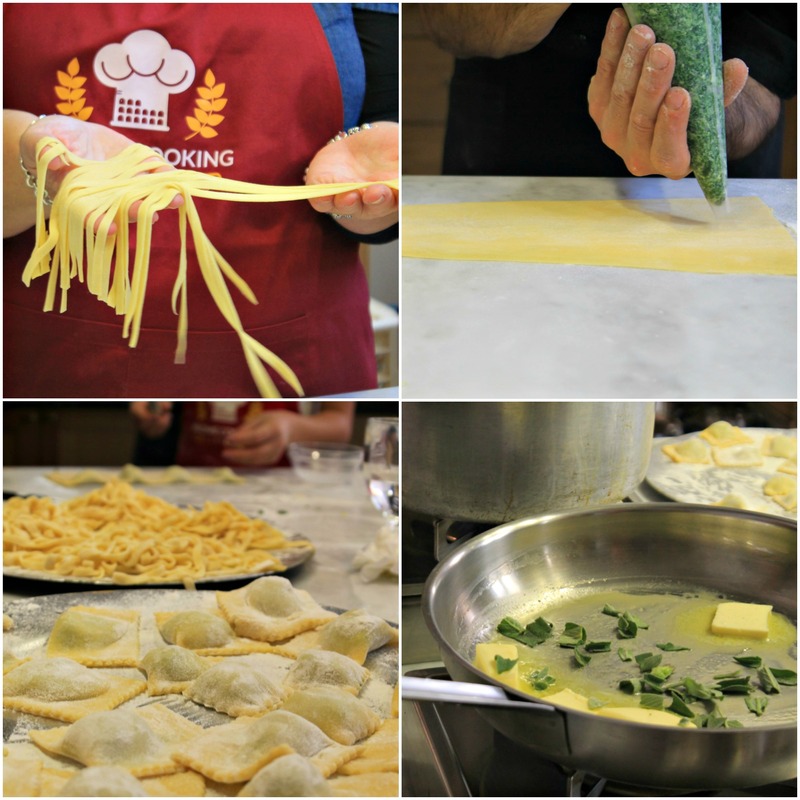 Once we knew we were going to Italy, the one thing on my bucket list was to attend a cooking class. It didn’t have to be fancy, I just wanted to learn a few tips and techniques from Italian chefs while in Italy and Walks Inside Rome made that happen at the In Rome Cooking School. The cooking school was tucked inside a 17th Century Palazzo near Piazza Navona, which added to the allure of cooking. The class was small, about 8 people including my husband and I, and entailed making two types of pasta (linguine and ravioli) as well as making a simple but delicious tiramisu. Since both my husband and I are chefs, this beginner class was so relaxing and just what we needed on vacation. Personally, I don’t want a cooking class “that makes you feel like you’re working in a restaurant kitchen” because we do that for a living and that’s the LAST thing we need in our lives. In Rome Cooking School welcomed us with coffees and aperitifs, as we sat down in stools along our workshops to learn about what we would be doing today. Tiramisu was made first, with gorgeous fresh eggs and cream, and set aside for dessert. In the meantime, we made pasta! Super easy pasta dough recipe, which we made linguine in an amariciana sauce as well as spinach ricotta ravioli in a butter sage sauce. Lunch was served in a gorgeous dining room along with wines paired with both pastas and the tiramisu awaited for dessert. Such a great experience, I recommend it to anyone wanting to learn a technique in a relaxing setting. In conclusion, my top travel tip of the day is to book a few walking tours if you’re in a a new city – assuming you’re reading this blog because you love food, a food walking tour is ideal but you can also do an art walking tour or anything else that intesrests you! It’s a quick and easy way to not get lost and discover some tasty treats! Disclaimer: Some of the companies mentioned above comped us or gave us discounts to attend their tours and classes. Other we paid for. Opinions are 100% my own and I recommend all these tours to anyone traveling to Rome! Rome is such a beautiful city! My mother took me there in 1981, as part of my high school graduation present. You visited some wonderful places that I wish had been part of my trip! 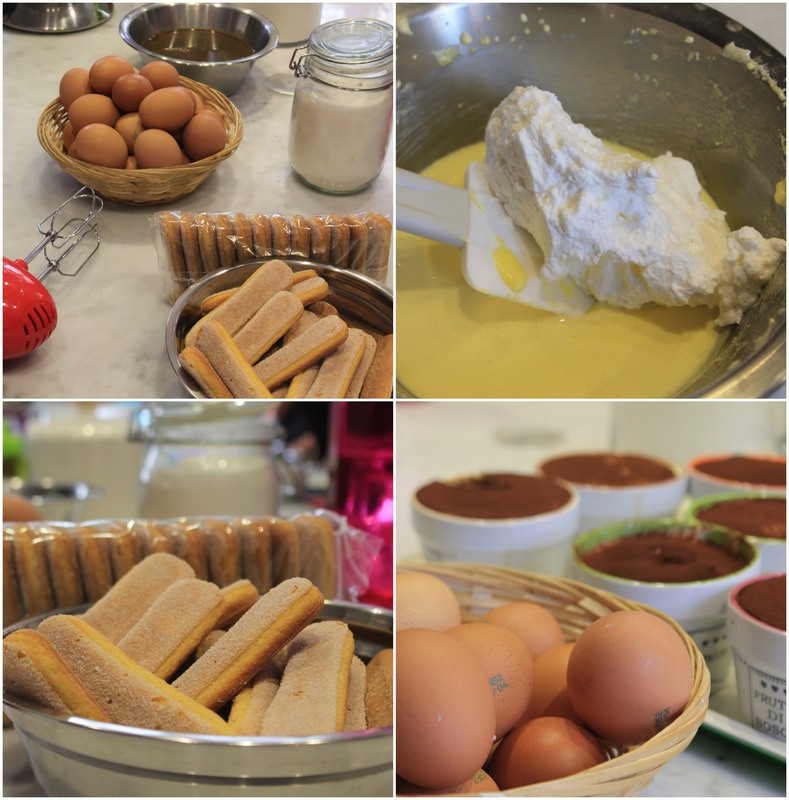 That tiramisu class… oh my! !